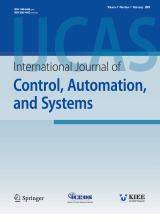 Abstract : "In this paper, we propose a new and efficient method to achieve a three dimensional attitude determination through combining the Doppler measurement with INS (Inertial Navigation System) in a partial GPS (Global Positioning System) coverage environment. First, equations associating raw measurement with user velocity vector and overall filter framework are introduced. Then, this paper presents formulation deriving a reference velocity incremental vector based on the Doppler measurement, which consequentially serve as the measurement of the attitude determination filter. In generating the reference velocity incremental vector, all three cases are taken into account according to the availability conditions of satellite. First, for three or more visible satellites case, a least square method is used to fix the user velocity vector; for other partial satellite cases, a reference velocity incremental vector is generated by devising the best geometric prediction from the respective satellite measurements. In order to verify the performance of this study, flight experiment is carried out with sensor equipment onboard a manned aircraft. For demonstrating the efficiency of the presented algorithm, we examined the proposed algorithm using the onboard flight experimental data. As a result of comparative study with a conventional tightly coupled integration method, the proposed method demonstrated competent performance in both accuracy and computational efficiency under partial satellite visibility." Keyword : Attitude determination, Doppler, efficiency, flight experiment, INS, partial coverage, velocity incremental vector.